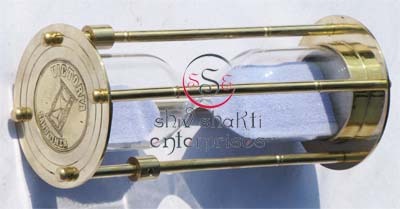 The small spaces in office and home filled with nice looking sculptures support the interior decoration with unique natural blend. 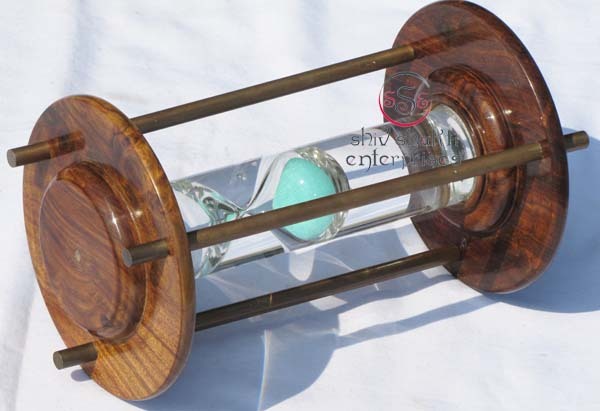 WOOD GLASS HOURGLASS is a Nautical Ship Sand Timer.WOOD GLASS HOURGLASS 26" HEIGHT. 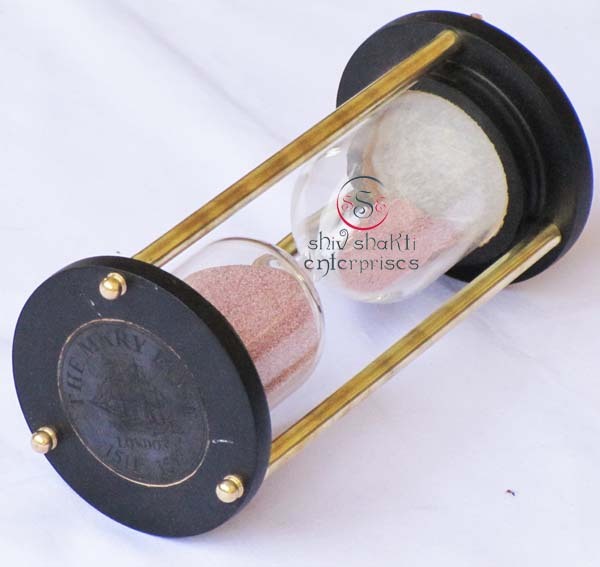 It is made of Glass & Wood.This sand timer engraved "SAND TIMER STANLEY LODON"
This lovely sand glass timer is made of premium quality Black Antique﻿ wood that has been beautifully polished to give it the best of the looks.﻿ It is made of Glass & Wood. 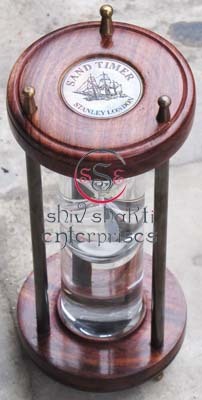 This sand timer engraved "SAND TIMER STANLEY LONDON"
﻿This lovely sand glass timer is made of premium quality wood that has been beautifully polished to give it the best of the looks.﻿ It is made of Glass & Wood.Which have been manufactured high quality raw material and are used as a show piece in home, restaurants, bar, factory, office etc. The small spaces in office and home filled with nice looking sculptures support the interior decoration with unique natural blend. 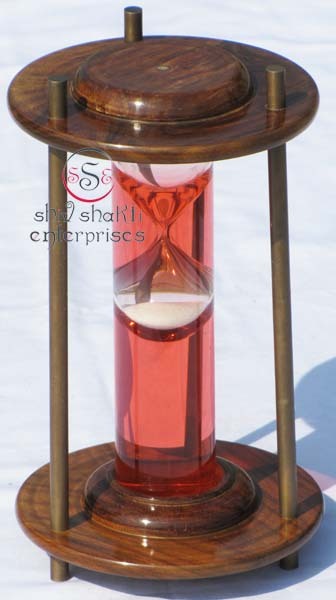 It is made of Glass & Wood.This sand timer engraved "MAKERS TO THE QUEEN LONDON SAND TIMER"
﻿Sand Timer Hour Glass 5 Minutes wood and brass "Real Antique Look"﻿Sand Timer Natural finish pure wood and brass Pillars.The sand-glass can be both a gift and a medical device. 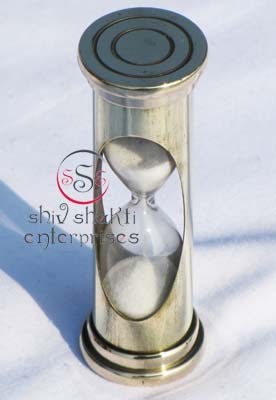 An excellent gift, it features beautiful solid brass antique stand﻿ hanging Sand Timer this is beautiful sand timer o hanging wood base stand .this is beautiful white sand.This beautiful antique sand timer is a nice collection for any décor. 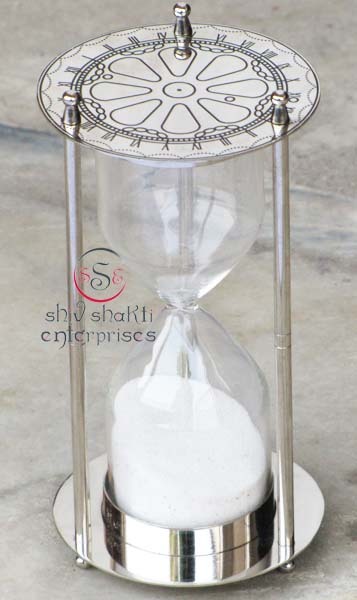 ﻿This lovely sand glass timer is made of premium quality wood that has been beautifully polished to give it the best of the looks.﻿ It is made of Glass & Wood. 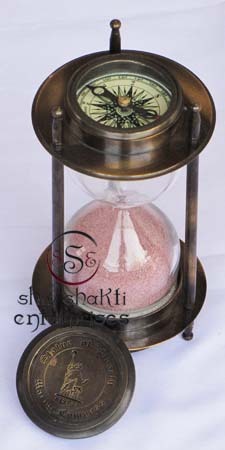 ﻿Water color of sand timer isRed with white sand.﻿This is a wooden water sand timer. 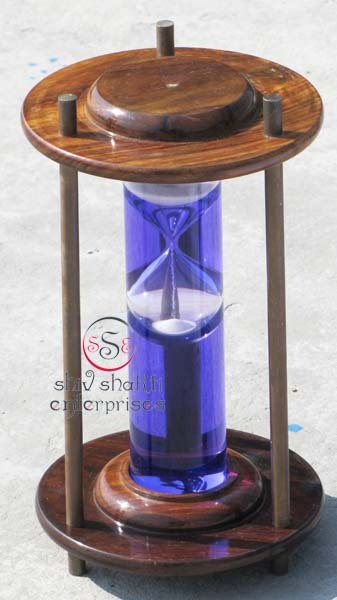 Excellent nautical decor item.Water color of sand timer is blue with white sand.﻿﻿This lovely sand glass timer is made of premium quality wood that has been beautifully polished to give it the best of the looks.﻿ It is made of Glass & Wood. 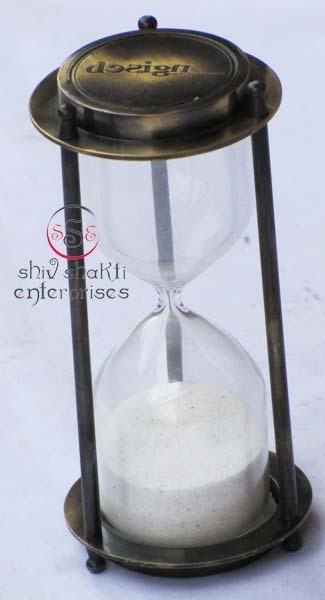 Sand timer hourglass is a device for the measurement of time. 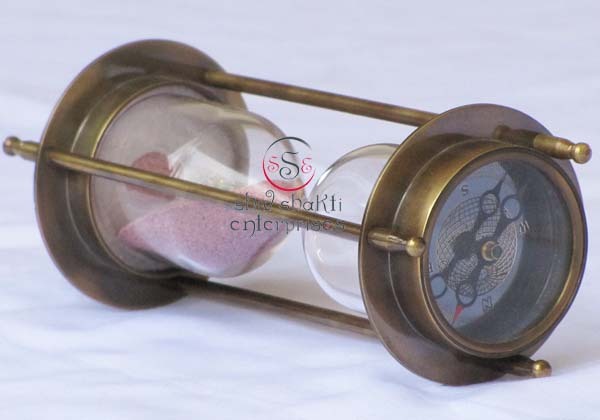 ﻿Water color of sand timer is Blue with white sand.﻿This is a wooden water sand timer. 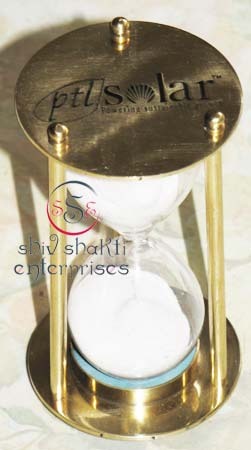 Excellent nautical decor item.Water color of sand timer is blue with white sand.﻿ Home and office decoration, Ceremony or party decoration,Birthday gift, holiday gift, Wedding gift etc.